Invitae has introduced exome sequencing and interpretation services, an expansion the company says has grown its genetic test menu to more than 20,000 genes. The Invitae Boosted Exome test applies next-generation sequencing (NGS) technology to analyze the exons of up to 20,000 genes, using custom-built bioinformatics solutions and interpretation by board-certified molecular geneticists and cytogeneticists, with the goal of enabling clinicians to make or confirm a personalized genetic diagnosis, then develop a medical management plan. The test includes a phenotyping tool that uses a structured phenotype ontology to generate a list of relevant genes to be prioritized in the analysis, with providers capable of adding additional genes to that list—as well as analytical solutions designed to identify other relevant genes through inheritance patterns or impact on gene function. Tests will be carried out at Invitae’s San Francisco laboratory, with results to be returned to providers within six to eight weeks, on average, according to the company. Invitae said clinical consultation for providers and genetic counseling services for patients are available throughout the testing process. Invitae Boosted Exome is priced at $2,500 for “Proband” tests of a patient alone; and $4.500 for either “duo” testing of a patient and one biological parent, or “trio” testing of a patient and both biological parents. The company says its testing services are available via institutional billing or patient pre-pay, with eligible patients given access to the company’s payment plans and patient assistance program. Variants identified in genes associated with Mendelian conditions that correspond to the patient’s presentation and additional genes indicated by clinicians. Variants in any gene identified as possibly causing premature truncation events and interfering with canonical splice sites, thereby interfering with gene expression. In trio testing, variants shown to be de novo in the patient or inherited in a compound heterozygous manner, with one variant assessed from each parent. Variants will be analyzed and reported according to the Sherloc interpretation framework—a refinement of American College of Medical Genetics and Genomics standards and guidelines by Invitae. The assay evaluates currently known nuclear genes associated with mitochondrial dysfunction—but not the genes encoded by mitochondrial DNA, at present. “Exome sequencing is very useful when an individual presents with a complex clinical picture in which a genetic disorder is suspected but the diagnosis is unclear and the gene responsible is unknown. 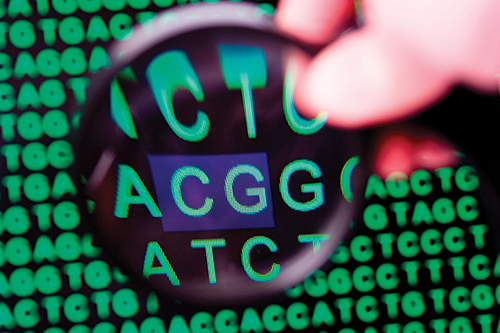 Exome sequencing offers a cost-effective, timely tool to assess large numbers of genes at once, significantly aiding in diagnosis for these patients,” Invitae CMO Robert Nussbaum, M.D., said yesterday in a statement.